Tax Law is Here – Have you read it? Well, I’m sure by now you have heard of the new Tax Law that became effective January 1, 2018. This new law makes a plethora of changes to the tax code, some permanent and some that will expire on December 31, 2025. Fortunately, tax returns prepared in early 2018 for tax year 2017 will generally not be affected by the new law. The “combined qualified business income amount” means, for any tax year, an amount equal to: (i) the deductible amount for each qualified trade or business of the taxpayer (defined as 20% of the taxpayer’s QBI subject to the W-2 wage limit; see below); plus (ii) 20% of the aggregate amount of qualified real estate investment trust (REIT) dividends and qualified publicly traded partnership income of the taxpayer for the tax year. The sum of 25% of the W-2 wages paid with respect to the qualified trade or business plus 2.5% of the unadjusted basis, immediately after acquisition, of all “qualified property.” Qualified property is defined as meaning tangible, depreciable property which is held by and available for use in the qualified trade or business at the close of the tax year, which is used at any point during the tax year in the production of qualified business income, and the depreciable period for which has not ended before the close of the tax year. Tip: Item # 2 above is expected to benefit people who own businesses with large real estate holdings but have few actual employees. Tip: Because of the threshold amounts, certain married taxpayers may find it beneficial to file separate returns. Consultations are available upon request by contacting 920-277-2991. A non-refundable fee of $85.00 is required to reserve an appointment time. Watch our Blog and FaceBook page for upcoming workshops! 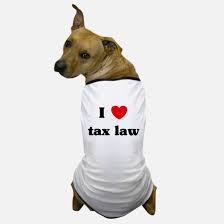 Monday, I will post highlights from the new Tax Law that have not been widely discussed in the media & some useful tips! This entry was posted in Blog on January 5, 2018 by c06675329.